Tip of the Day: Skip the Pre-marinated Pork | eat. write. smile. Ever see those marinated pork tenderloins at the grocery store? I’ve tried the Teriyaki and Lemon Pepper varieties; I thought they were pretty decent, but I was a little worried that I couldn’t control the salt content since they’re vacuum sealed. While these pre-marinated pork tenderloins may seem like a convenient time saver, we learned today in our Meat Fabrication class that the meat is actually defective, and these flavor-enhanced tenderloins are the pork industry’s attempt to sell less-than-optimal pork meat. 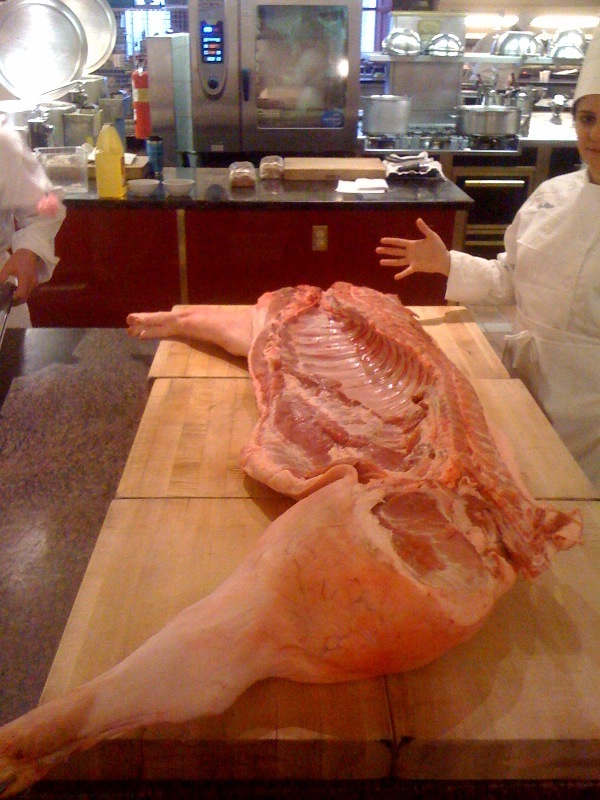 Left: a whole pig, cut the long way. Thanks to Anne’s hand for perspective. What do I mean by defective? This pork is safe for human consumption, but the reason it has made its way into a pre-marinated package is because after slaughter, this pork meat was designated PSE, an acronym for “pale, soft, and exudative.” Since it doesn’t have good pink color, lacks healthy, firm texture and exudes all its moisture (read: gets slimy quickly and dries out quickly upon cooking), this meat isn’t suitable for pork chops, cutlets or roasts. I have to commend the pork industry for their inventive marketing, but the fact of the matter is these “enhanced” tenderloins are injected with sodium phosphate and flavorings to make a buck on meat that would otherwise not make it to market. Instead, look for pork meat that has a darker pink color (more flavor than pale white meat, see photograph below) with moderate fat marbling for the best quality. Is Hormel going to send their henchmen to straighten me out? Maybe, but I have been duped before by enhanced pork products; I figured I had to share. 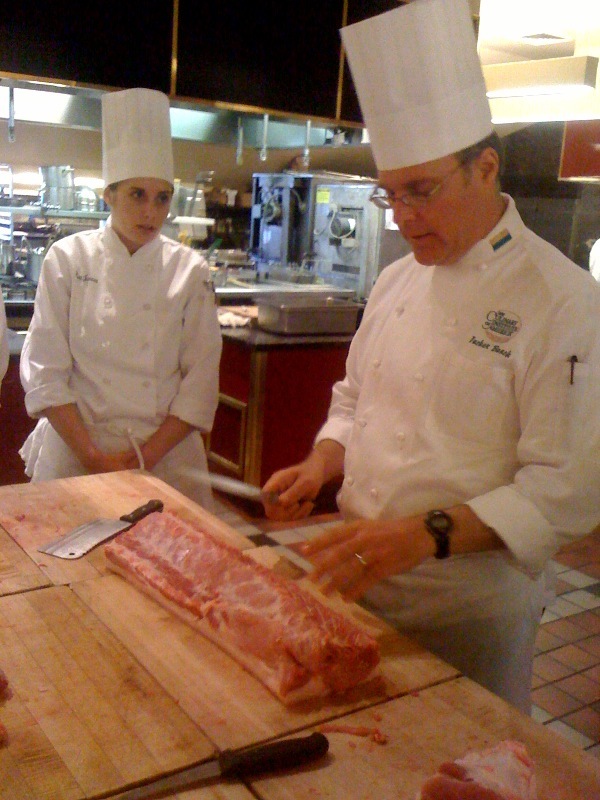 Below, our Chef Instructor Tucker Bunch breaks down a pork loin. 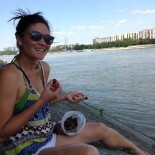 This entry was posted on March 15, 2010 by Ruthie in Uncategorized.